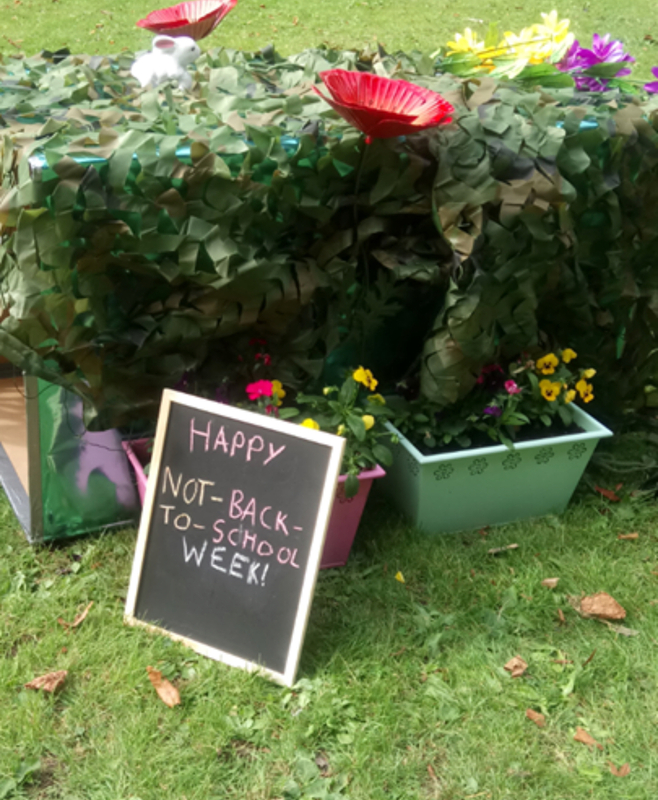 On Wednesday 5th September, home educators hosted an Alice in Wonderland picnic in Wallace Park, Lisburn for the ‘Not Back to School Week!’. 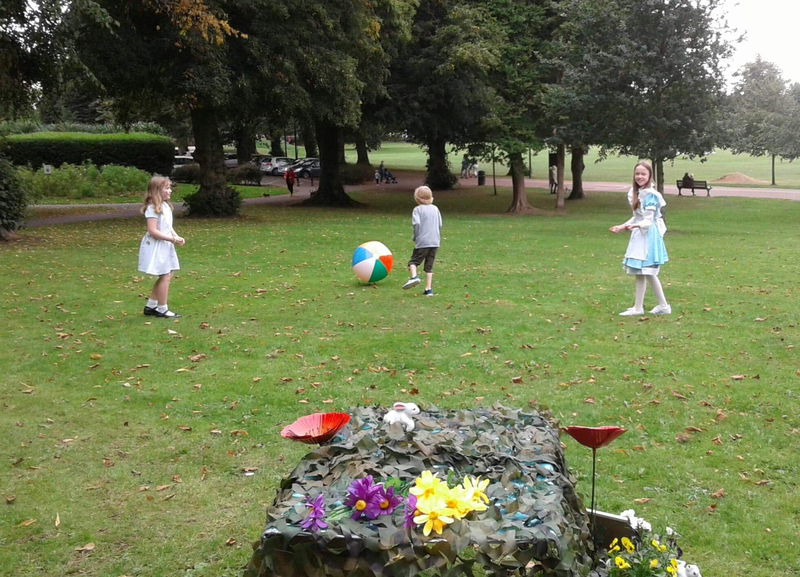 Children were encouraged to read the fantastic Alice in Wonderland or listen for free through the Libraries NI site in the weeks before the picnic. Children helped to set up the scene - which caused many smiles from those passing by - and helped to pack up 3 hours later. 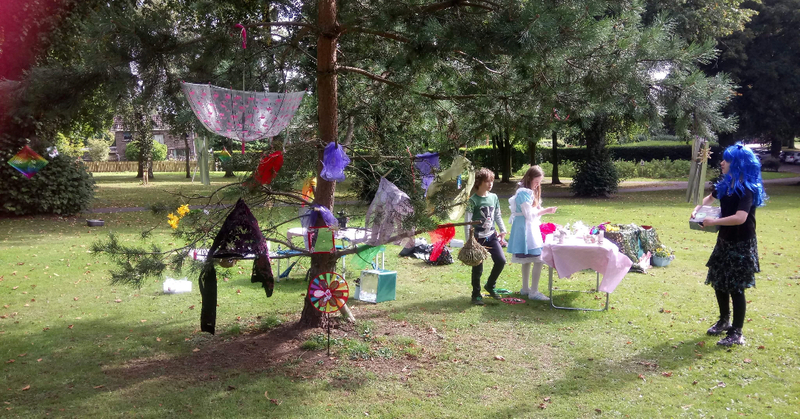 In between, there was rock painting, hat and tee shirt decorating, stone stacking, clay modelling, space hoppering and lots of time for chat! 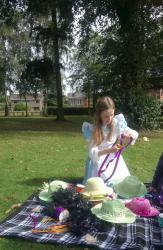 One child described that “the decorations were lovely and I enjoyed it very much. My favourite part was playing tag with my friends. 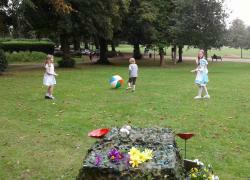 Also, my mum loved the painted stones”. Other children described the morning as fun, interesting, different and a new experience. One mum described it as “magical, mysterious and colourful” and another said “My child had the most amazing start to his homeschooling journey. We were so inspired by the activities and the warmth in the group. We are all set for the year ahead now”. Back home, and some have followed up on the Alice themes of growing up, change and questioning what ‘knowledge’ really is using recognised study sites. It has also been a chance to value the importance of the child’s perspective in what can at times be a confusing adult world.